We provide our customers with the tastiest, highest-quality fish n’ chips in Dublin at the best prices.We believe that our outstanding standards, service, cleanliness and value are achieved by using the highest-quality ingredients and the best-trained staff to build our well-known Beshoff Bros brand. We also provide a socially and environmentally responsible service to the community and continually work to increase customer loyalty through rewards and incentives. 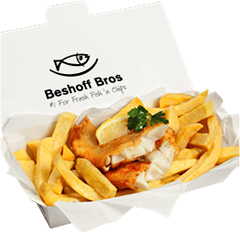 Did you know that Beshoff Bros only use the freshest fish & finest potatoes? We are proud to be able to provide our customers with fresh fish from the cold clean waters of the North Atlantic caught under ‘European Fishing Policies’ which replenish stocks and guarantee sustainability and traceability. 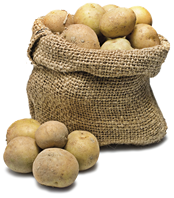 Our fresh potato ‘Real Chips’ are grown by environmentally-friendly farmers using first-class agricultural practices. We only use the best vegetable oil available and a range of super-thin batter to ensure the tastiest and healthiest fish n’ chips on both sides of the River Liffey!